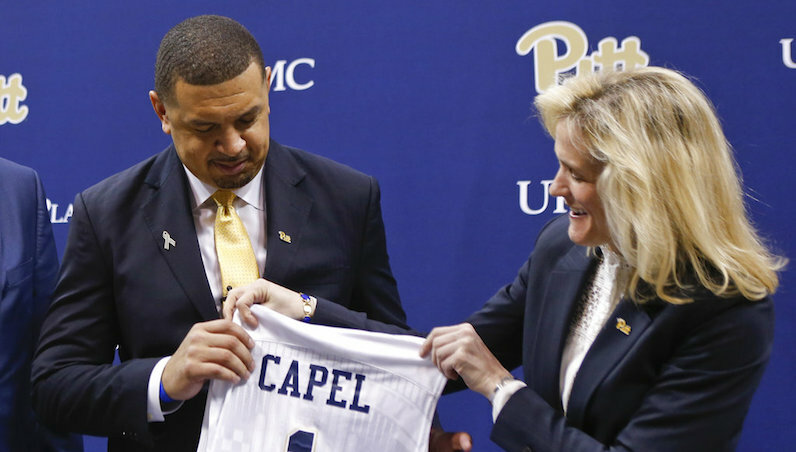 Jeff Capel is a busy man, and Pitt basketball is the beneficiary. Over the first weekend of June, Pitt landed the top player (early on) of Capel’s tenure: 4-star small forward Au’Diese Toney. Toney hails from Alabama, but he plays his prep ball at Trinity Christian Academy in North Carolina. He’s rated as the No. 138 overall prospect and No. 36 small forward in the 2019 class, per 247 Sports. However, Toney won’t remain in the 2019 class; the 6-foot-6 wing will reclassify to the 2018 class, and join Pitt in 2018-19. He will join what’s shaping up to be a decent initial class for Capel. The Panthers already have two 2018 commits: 4-star guard Trey McGowens and 3-star combo guard Xavier Johnson. In terms of incoming players, that trio will be joined by New Mexico State grad transfer Sidy N’Dir, a productive spot-up, two-way player. Next season, Pitt will be without several talented players — Ryan Luther (Arizona), Marcus Carr (Minnesota), Parker Stewart (Tennessee-Martin) — who decided to transfer after the dismissal of Kevin Stallings. However, it’s hard to imagine Capel and his staff doing a better job building for 2018-19 than they have. Leading scorer Jared Wilson-Frame (13 points), Kene Chukwuka, Khameron Davis, Terrell Brown and Shamiel Stevenson return to the Panthers. Also in the mix: St. John’s transfer Malik Ellison. Considering where Pitt basketball was located about 90 days ago — stumbling into the ACC Tournament — this is a pretty remarkable turnaround. Sorting out the ACC Coastal Division: who’s still in the hunt?